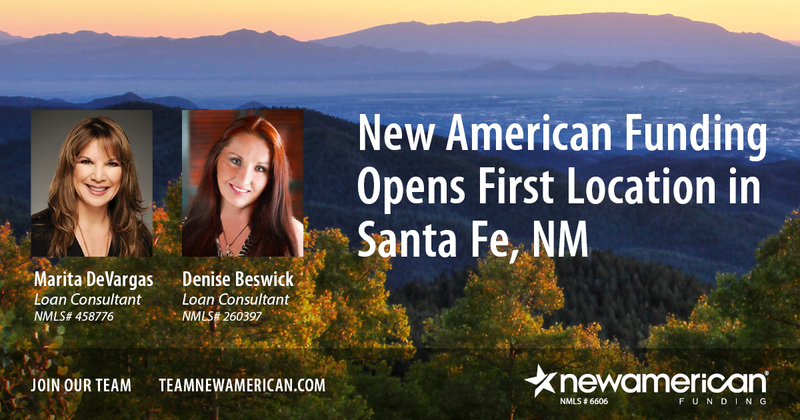 New American Funding, a leader in the mortgage industry, is expanding its Southwest territory with the opening of a Santa Fe, NM branch. This newest location, which is on 150 Washington Avenue, Suite 201, is the first branch for the mortgage lender in New Mexico’s capital city. Marita DeVargas, along with Loan Originator Denise Beswick, will be part of the Santa Fe team. DeVargas previously served as vice president of mortgage sales with an independent lender, while Beswick owned and operated a contract loan processing company. Both have worked one-on-one with clients originating loans and bring 40 years of combined experience in financial services to the market.